From the left: Andrea (member of the Wikimedia Board of Trustees), Jimbo Wales and myself. Photo byMidom. Others and me :) (2nd from the right). Also by Midom (tnx). After Wikimania ended, there are still some aftershocks, the most important of those likely being the Citizen Journalism Unconference. The theme is citizen journalism, we have notes added on conference wiki, and you can see other content with 'citmedia06' tag (technocrati, flickr, etc.). I was blogged about in the The Chronicle of Higher Education blog: Dispatches From Wikimania. I plan to have my PP slides downloadable soon - it seems like the promised download at Wikimania site has some delays. Day 3 of Wikimania conference begun with the meeting of those interested in studying the 'great social experiment' that Wikipedia has, accidentaly, become. The Wikimedia Research Network got (hopefully) a much needed boost in members, as did one of the most important projects out there, the General User Survey. The GUS project is designed to fill in the giant missing gaps in our knowledge of Wikipedians: while we know their general numbers and can say a little about their productivity or some other editing patterns, many basic questions like the age, education, gender, or what do they (we...) think of MediaWiki interface can be answered with little more then some educated guesses. So GUS project is extremly important for those interested in 'who' keeps the Wikipedia project running. While the big annoucements seemed to have ended with the revelations of the first two days, lot's of tiny useful things where discussed, from the new ultimate 3-D modelling tool, Sketch Up (which may not be very wiki related but it's free and so intuitive that it promises a new revolution in grapic design), through WikiPhone promising a better collaboration between Wiki users, the Great Firewall of China, the single login idea and the goodies of MediaWiki 2.0. PS. Later in the day I got my picture taken with Jimbo :) All in all, it was another great day, and the biggest flow of the conference seems to have been its ending too soon. PS2. As usual, I recommend browsing through Technocrati 'wikimania2006' tag for more relations! I spent the entire day at the 'teaching' track. 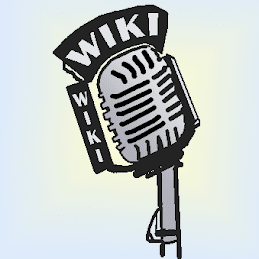 Among the most interesting things is the new partially ready software that will give the MediaWiki sotftware (the wiki software run by Wikipedia and many other wikis) functionality of the course management system. Everbody was also excited with the news about the upcoming WYSIWYG editor I mentioned yesterday. So it all started with Jimbo Wales welcome and introduction (available as podcast). Andy Carvin has already blogged a good summary so just go read it there if you like :) (there is also some stuff here.